Donald Trump and his campaign have responded to leaked pages of his 1995 tax returns, arguing it shows that the Republican presidential candidate understands tax laws very well and is therefore equipped to change them if elected president. “My response is he’s a genius,” Rudy Giuliani said on ABC’s “This Week” with George Stephanopoulos on Sunday. Giuliani continued, comparing Trump’s financial setbacks to the late British Prime Minister Winston Churchill and Apple co-founder Steve Jobs, who both had setbacks but built up success. New Jersey Governor Chris Christie, another one of Trump’s closest surrogates, echoed Giuliani on “Fox News Sunday” with Chris Wallace. 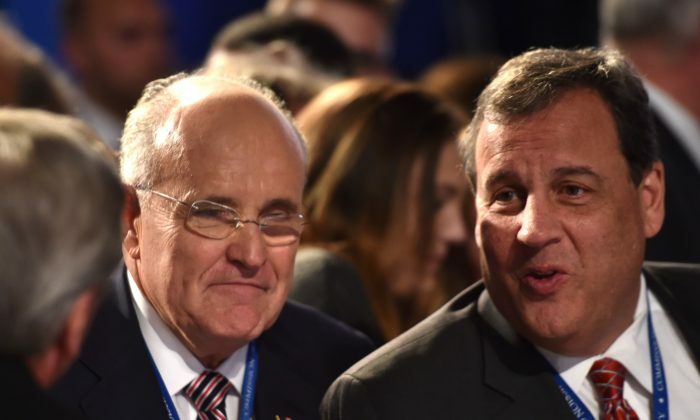 “The genius of Donald Trump has been to make sure he follows the law,” Christie said. Trump responded to the report on Sunday morning at 4am. “I know our complex tax laws better than anyone who has ever run for president and am the only one who can fix them. #failing@nytimes,” he tweeted. Neither Donald Trump nor his surrogates have confirmed or denied that the findings in the reports are true. Dean Baquet, the executive editor at the New York Times, said at a Harvard University forum in early September that he’d would be willing to risk jail time to run a story on Donald Trump’s taxes.